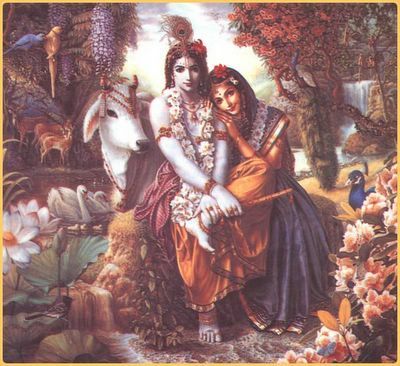 Radha Krishna - my LORD . See the picture carefully for a few moments and notice the peace you will get inside your heart :-) The peace is from the silence -which tells you ...everything doesnt need to be "possesed" materialistically to make one happy ! !